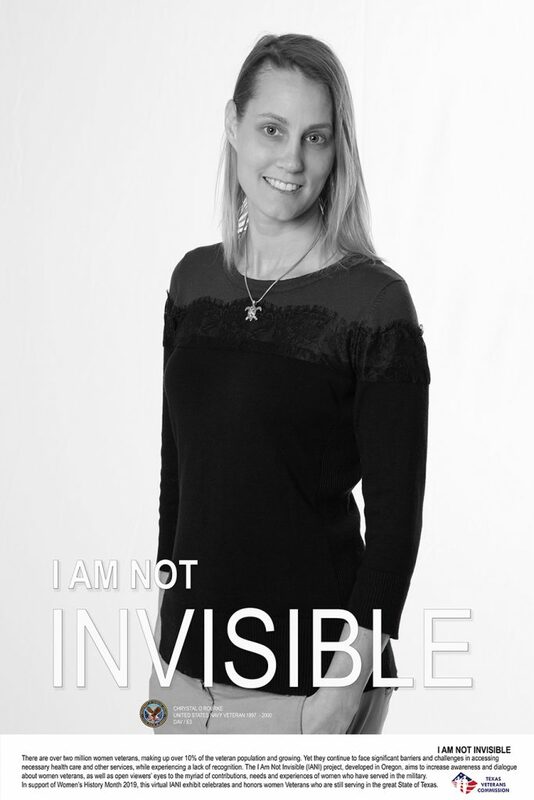 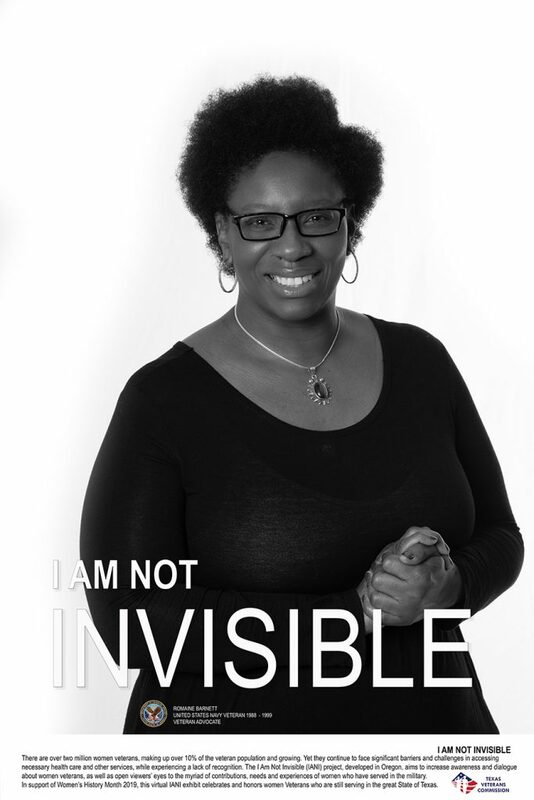 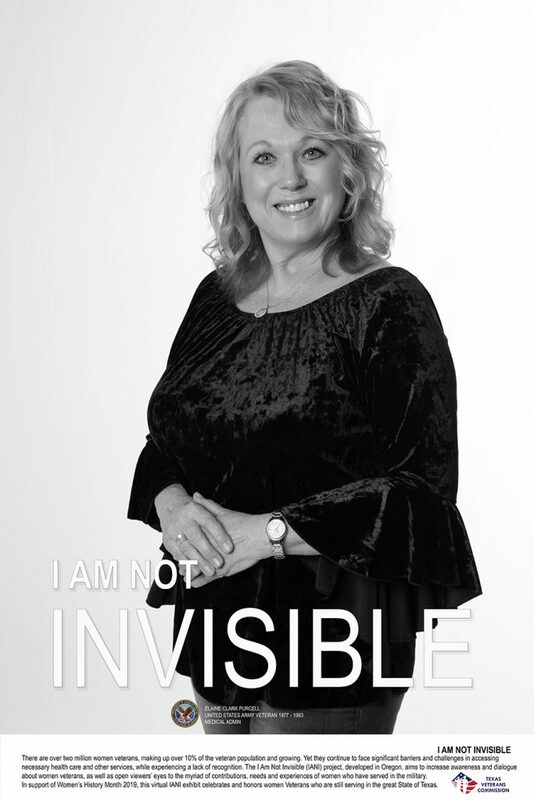 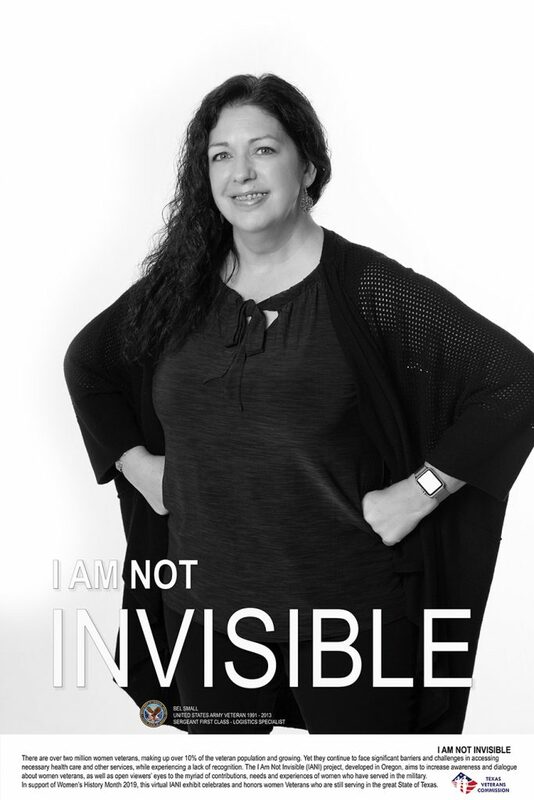 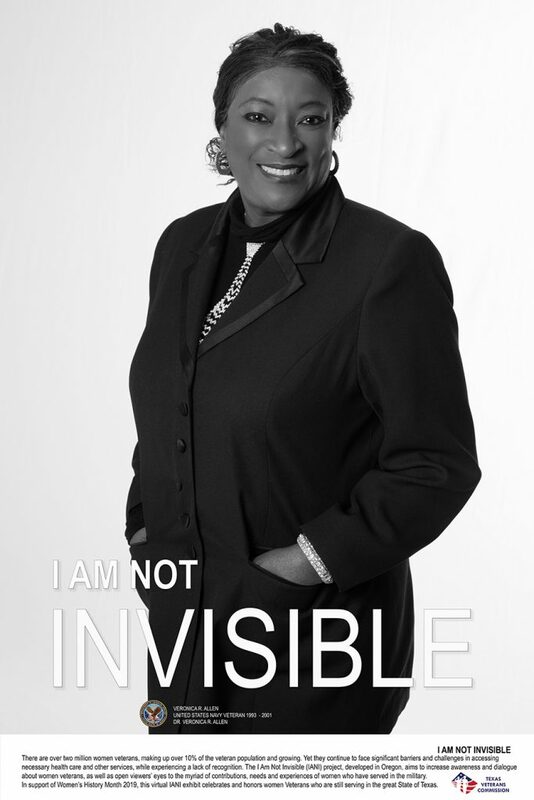 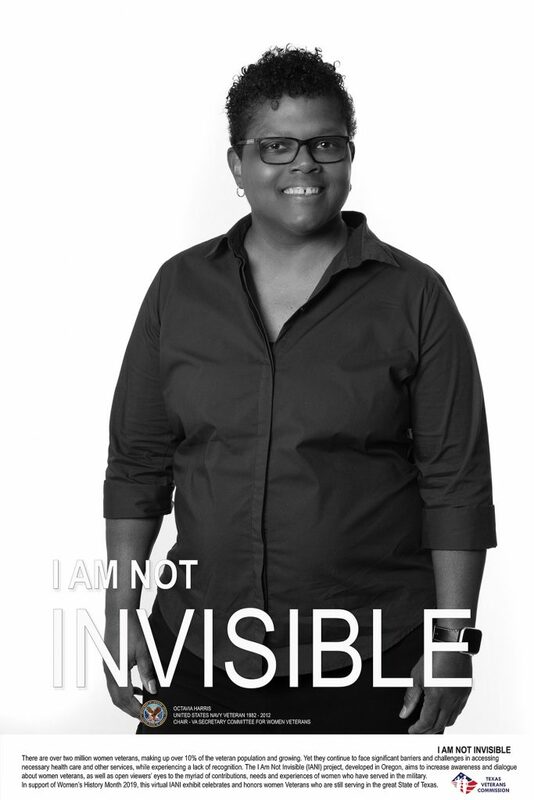 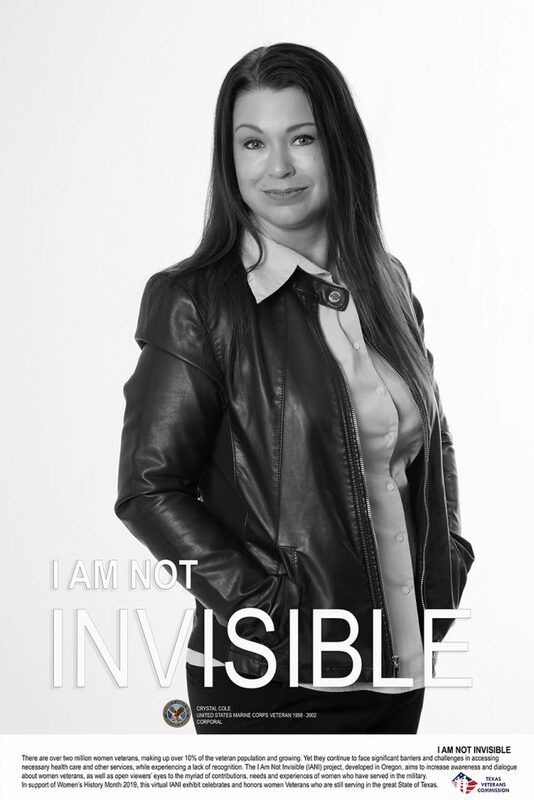 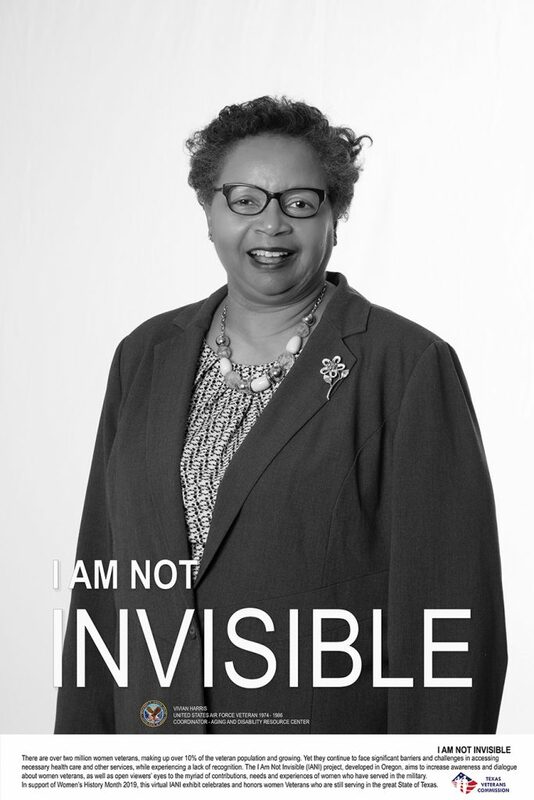 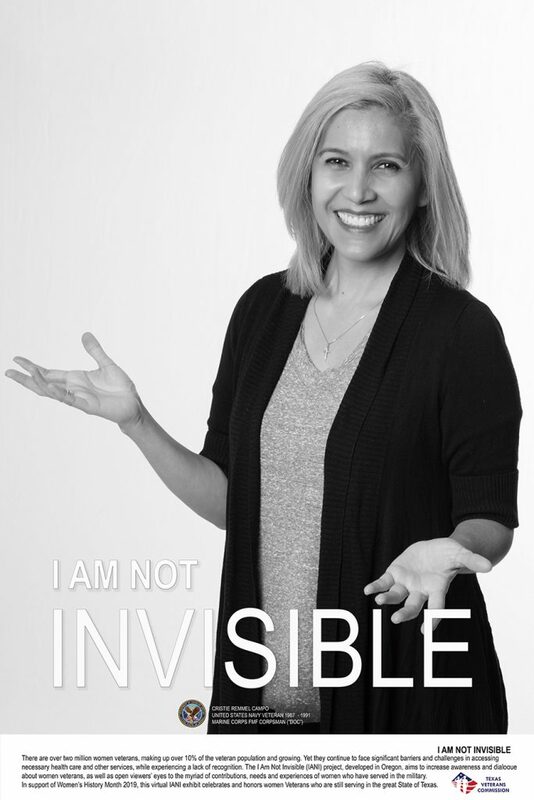 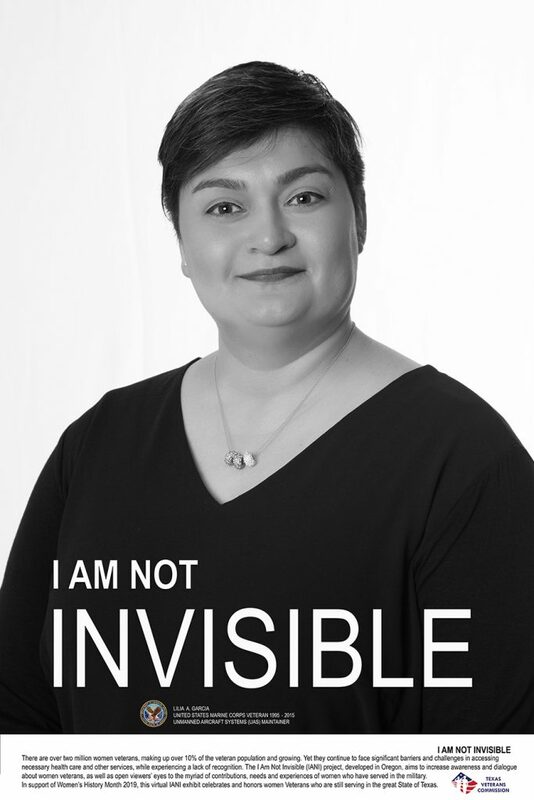 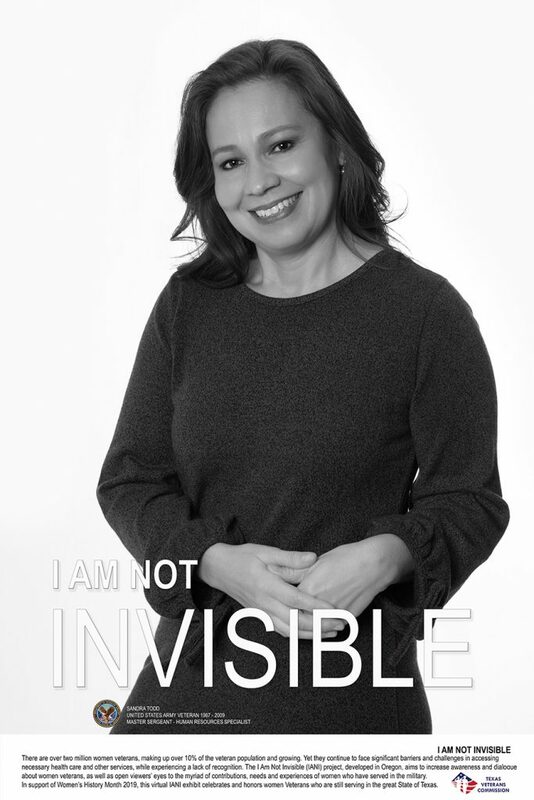 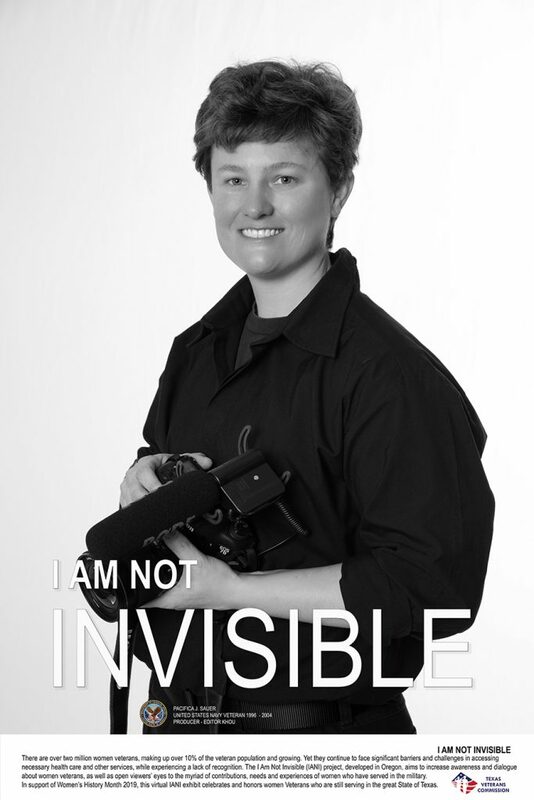 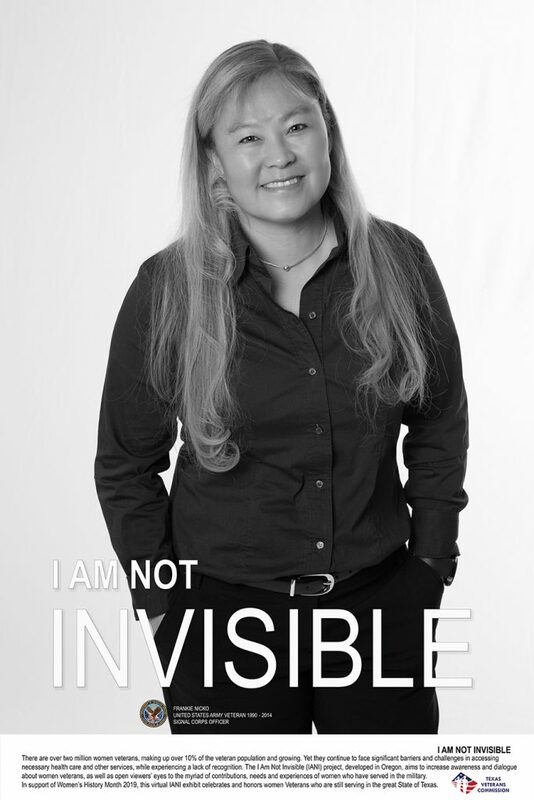 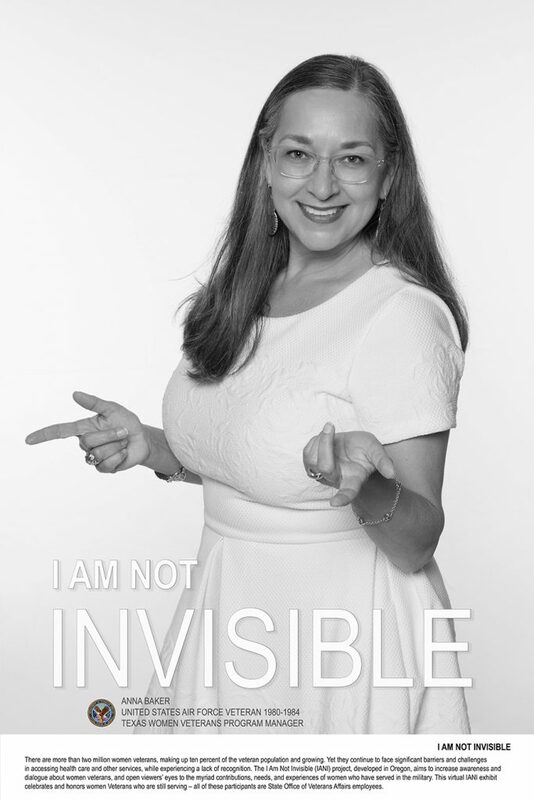 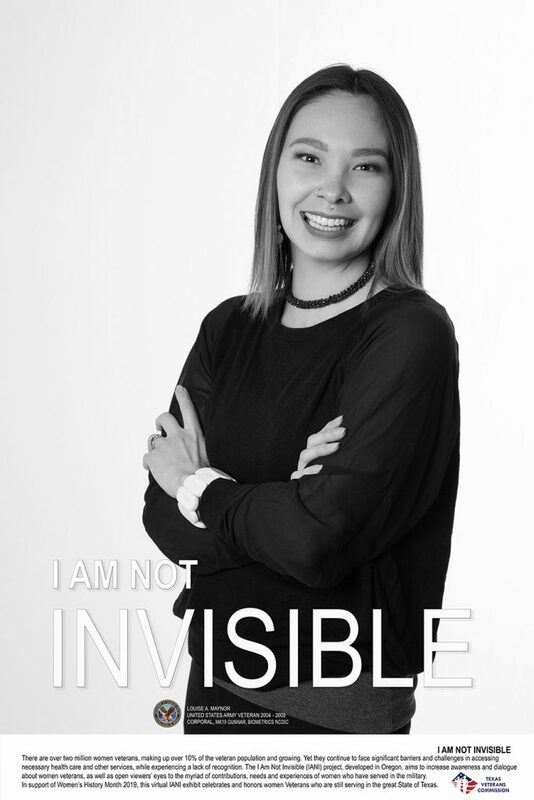 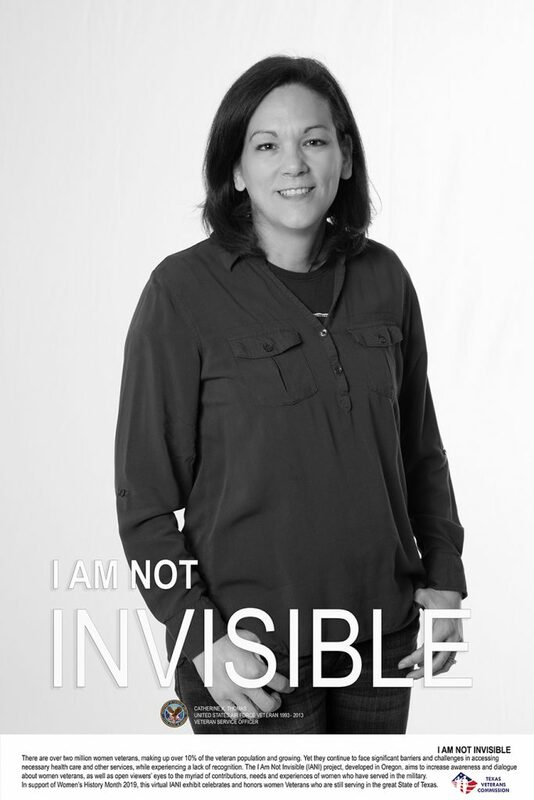 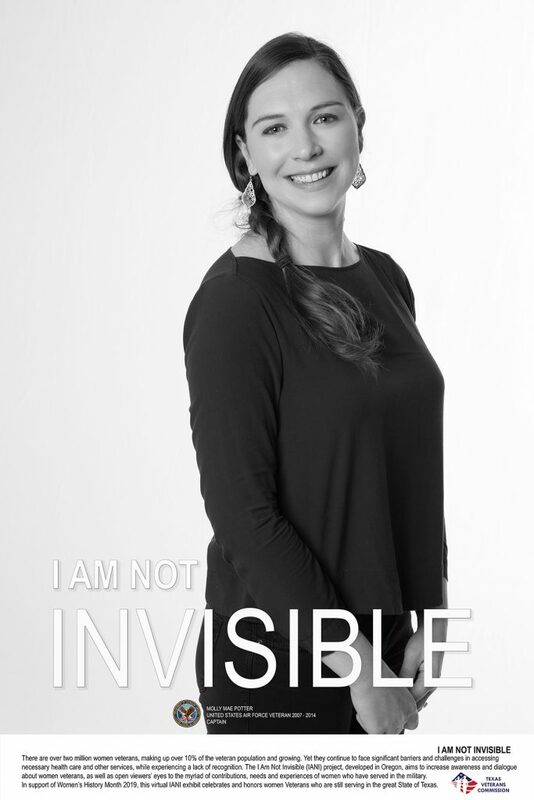 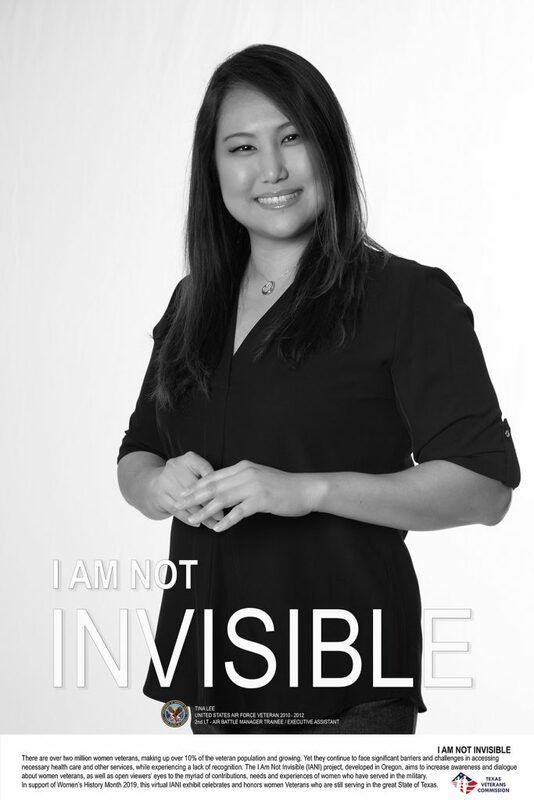 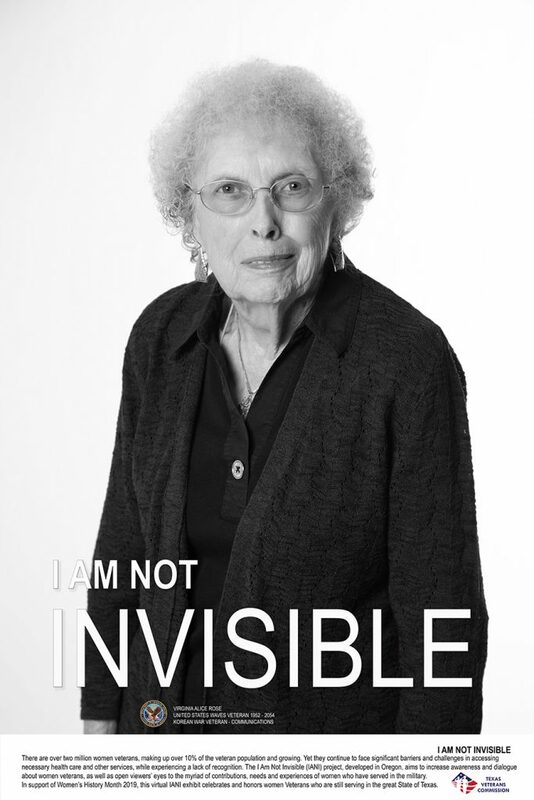 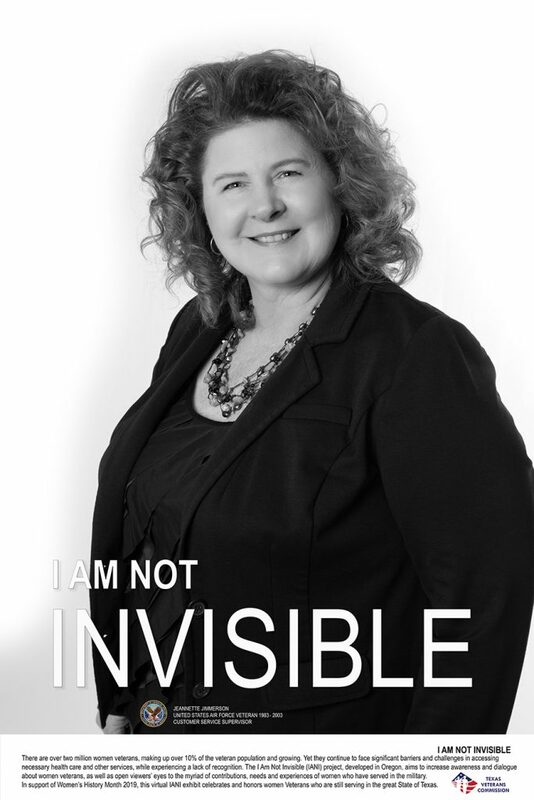 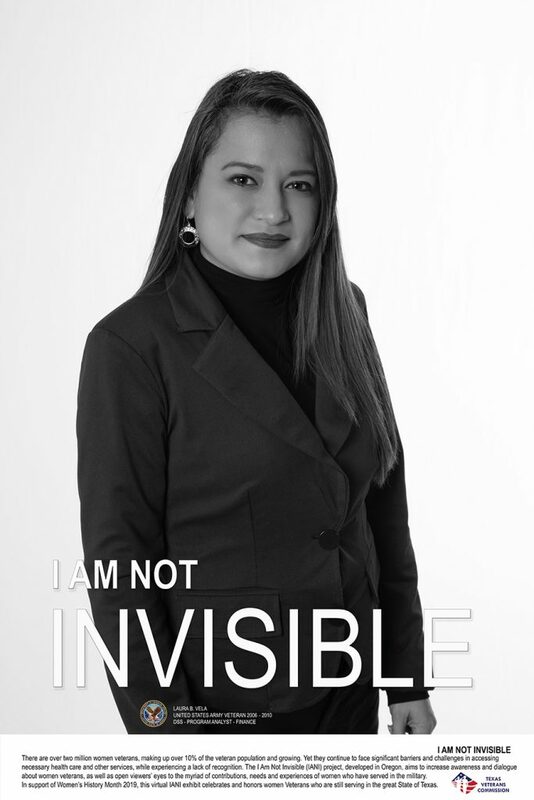 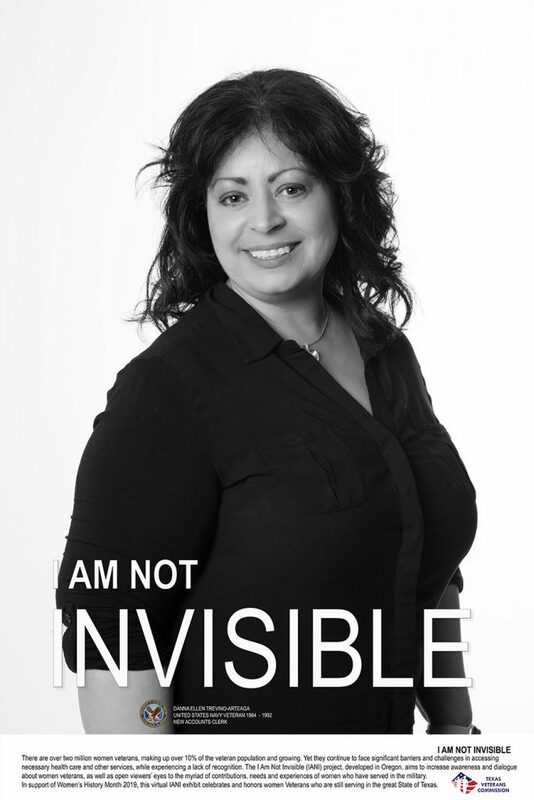 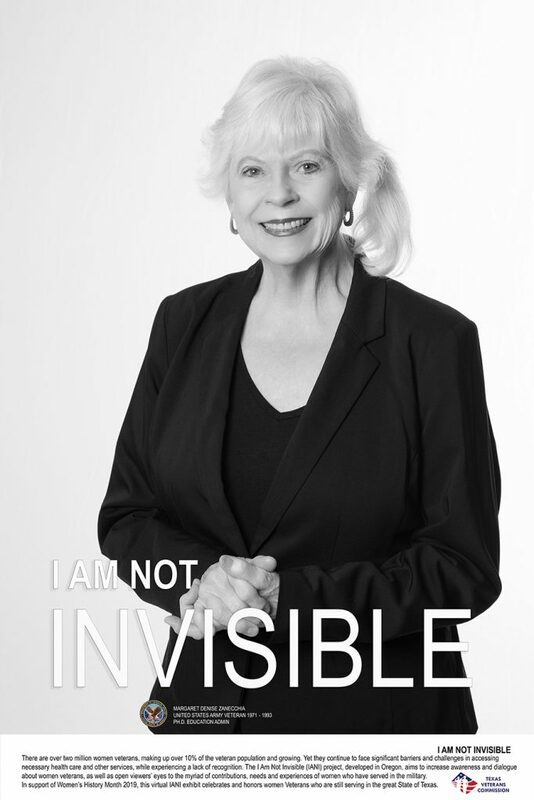 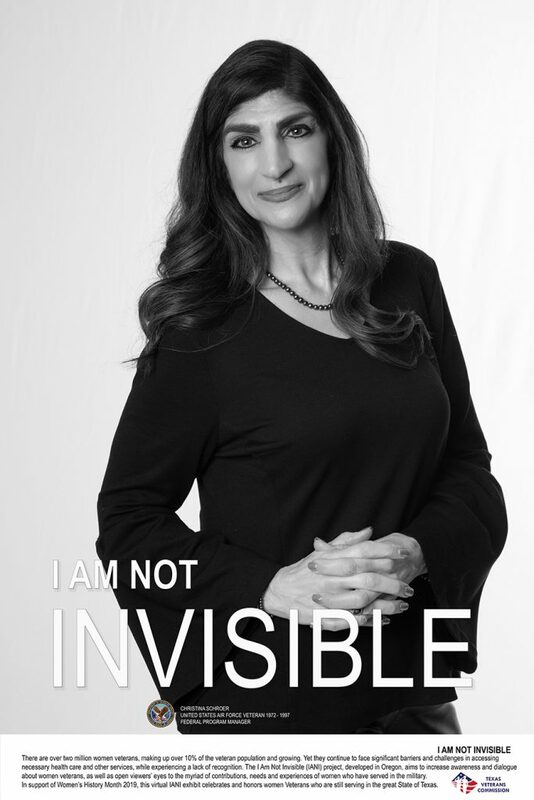 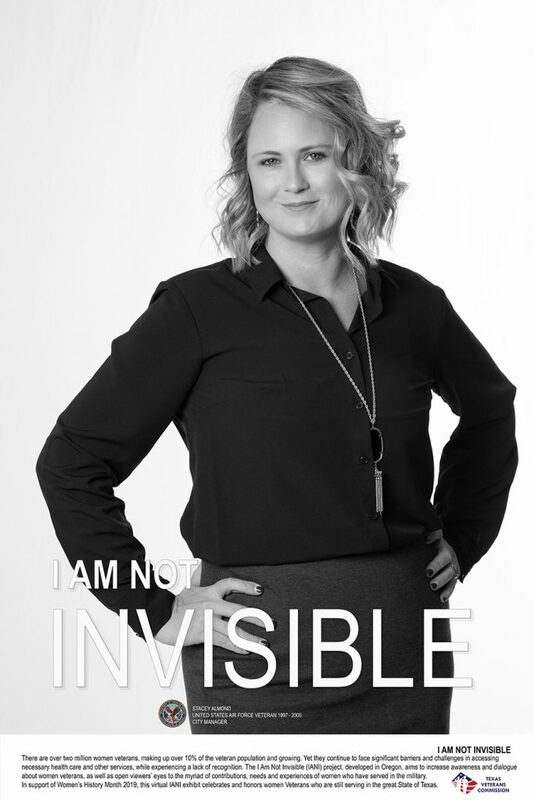 I Am Not Invisible is a remarkable exhibition featuring 30 portraits of Texas women military veterans. 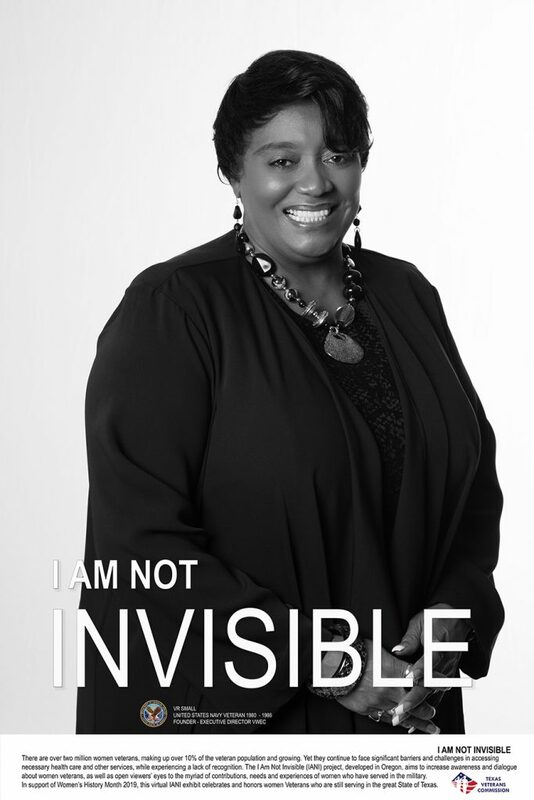 This exhibition will be on display March 23-31, 2019 at the State Capital. 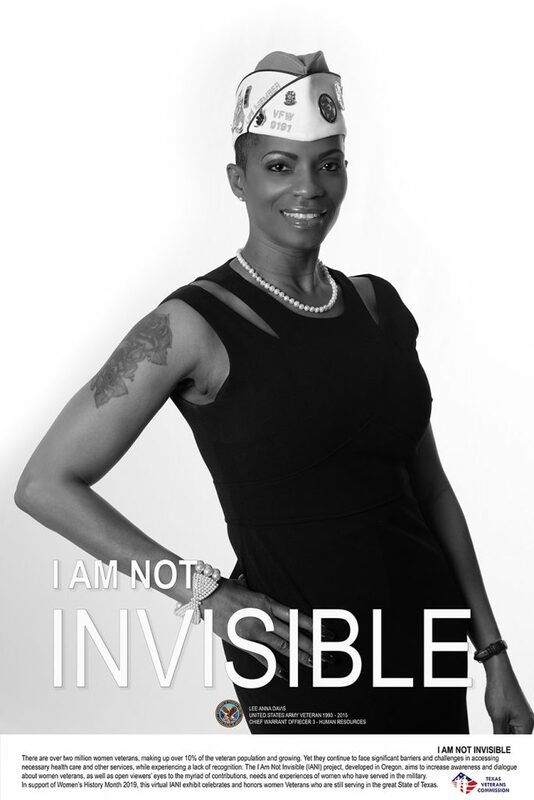 There are more than 180,000 women veterans in Texas, a number that steadily rising. 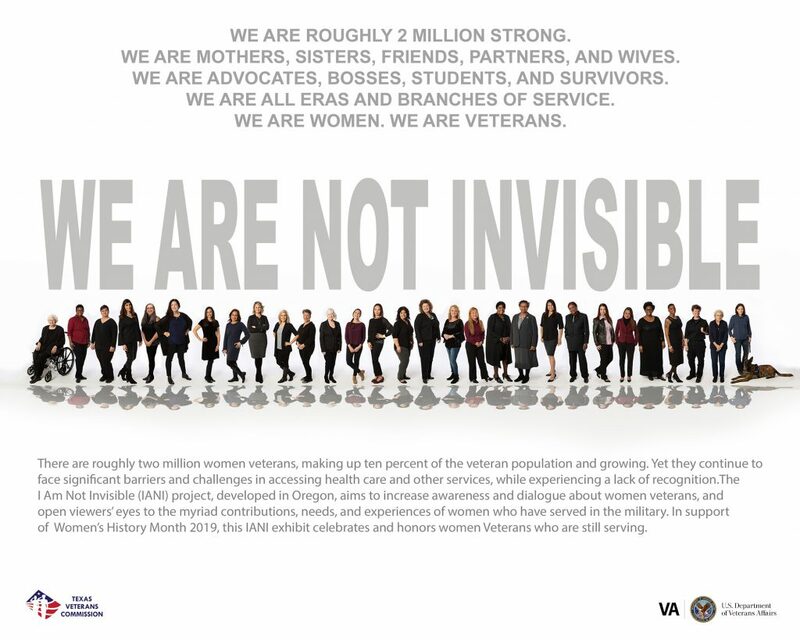 And yet, women veterans continue to face significant barriers and challenges in accessing necessary health care and other services, while experiencing a lack of recognition unlike their male counterparts. 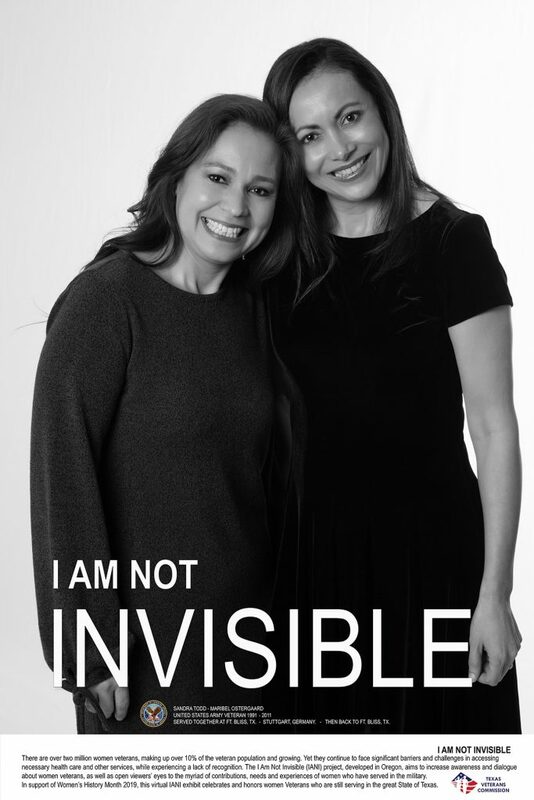 By spotlighting the many faces of this diverse and important segment of the Texas veteran community, IANI aims to increase awareness and dialogue about women veterans, as well as open viewers’ eyes to the myriad contributions, needs and experiences of women who have served in the military. 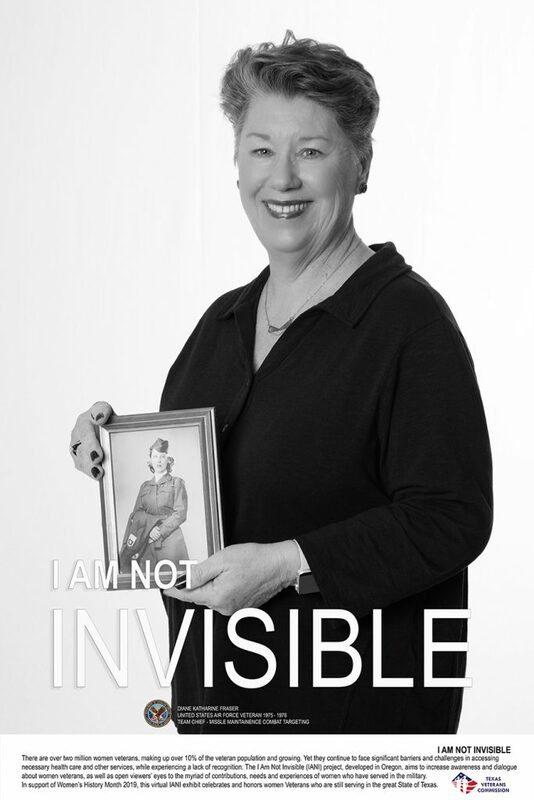 Click on the veteran’s photo to read their bio.